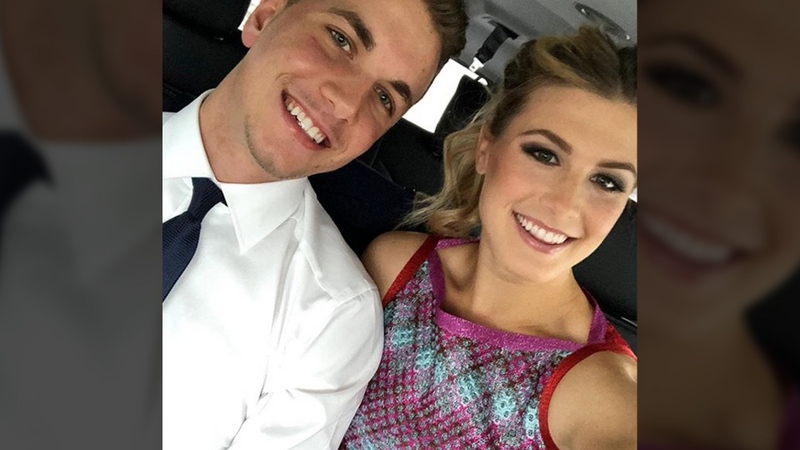 A U.S. college student’s hail-Mary shot at a date with Eugenie Bouchard has finally come full circle, with the pair in Minnesota for this year’s Super Bowl game as a tribute to their now-famous Twitter bet. NFL Canada invited Bouchard, 23, and John Goehrke, a.k.a. Twitter user @punslayinthewoods, to attend the game in Minnesota, as a nod to their much-hyped bet last year, from which Goerkhe won a date with the Canadian tennis star. The two have posted several photos of themselves together at Super Bowl weekend, and were running the NFL Canada Twitter account for a Q&A session earlier in the day. Bouchard thanked him for his kind words in the video. “That’s so nice John,” she said. Goerkhe made the bet with Bouchard during last year’s Super Bowl, while the Atlanta Falcons were leading the New England Patriots in the game. “I knew Atlanta would win btw,” she tweeted mid-game. The two took in a basketball game together 10 days later. But it didn’t stop there, as Goerkhe has made a few cameo appearances with Bouchard on her Instagram account in the months since that first date. John Goerkhe and Eugenie Bouchard are shown in this image from her Instagram account. 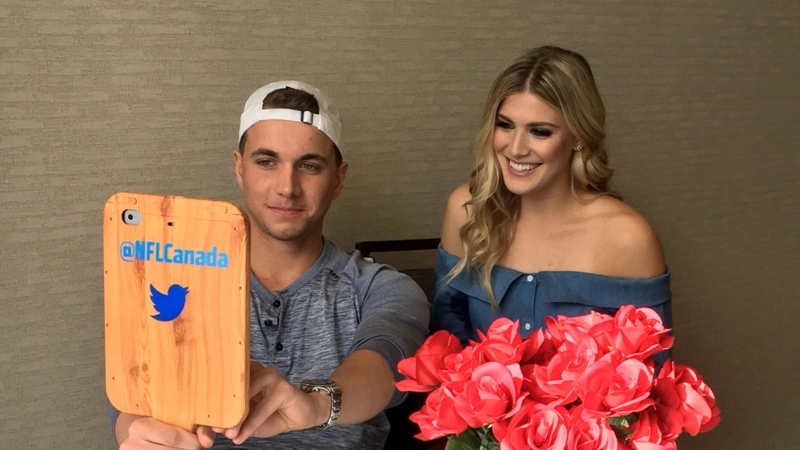 Eugenie Bouchard and John Goerkhe take over the @NFLCanada Twitter account in Minnesota for Super Bowl LII on Feb. 4, 2018.